Renovation of a third house begins with the completion date of summer 2012. During this time, Résider pour entreprendre received three European delegations composed of representatives from professional organisations from all over Europe who wanted to see and learn about the Stepping-Stone Housing project. In January a second family of 4 coming from the same region of Amiens is welcomed. In April, a third family, this time from Dunkirk, is welcomed along with their 3 children. Simultaneously to these activities, a feasibility study is carried out in relation to the program POMAC (Programme Opérationnel du Massif Central), which started in March 2010 alongside the other two Stepping-Stone Housing projects. This helped with the development of the project interms of technical and organisational application as well as the capitalisation and transfer of information on the experiment. From the results of this study, issued in July 2010, the members of the association gave the go ahead for the official opening of the project. A call for finance was prepared and issued to the administrative offices in the regions of Auvergne and Limousin. These requests provided the final amounts required after a bank loan to the assoication was granted. A second family of 4, from the region of Amiens in France, is welcomed to the project and settles in the house. The members of the association decide, at the same time as their partners within the region, to continue the experiment which began a few years earlier by renovating a building in the village of Meyrignac L’Eglise using the funds raised by its owner : the first Stepping-Stone House along with its garden was renovated using only natural materials. The members of the association ‘Résider pour entreprendre’ start to plan for the welcoming of potential candidates for the house. A small group of people got together and decided to officially create the association ‘Résider pour entreprendre’ which has the aim of developping a project to make use of an existing estate by converting it into a public service. In other words, the members of the association wished to use existing buildings currently uninhabited in the village (which would only have served as private rental properties) in order to create a local development project which welcomes people to the region and helps to develop the economic activities of the rural areas. The main hypotheses made by the members of the association ‘Résider pour entreprendre’ was that by offering these services to would-be entrepreneurs, new to the region, the chances of them succeeding in their settlement and the start-up of their business is hugely increased, creating more succeful and definitive economic additions to the region. In consequence, the settlement of a family within a demographically suffering area contributes to the delevopment of the territory, be that social, economic or cultural. 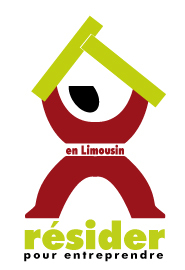 The future members of the association (which are above all inhabitants of the village) receive regular (and mostly informal) requests for lodgings from people mostly living in urban environments, and are searching for a place to settle in the Limousin (particularly in the rural parts of the region) where they will be welcomed and giving help with their long-term plans to settle in the region. The association « Résider pour entreprendre » was created after an experiment which was carried out in 2001. 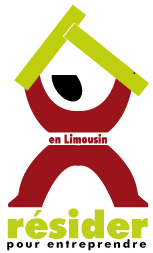 The aim of this experiment was to welcome a would-be entrepreneur and their family for at least a year in one of the currently uninhabited houses in the village of Meyrignac L’Eglise and to help them with the start-up of their business in the region. This helps comprised the supply of information regarding the people in the region concerned by their project, the local organisation which offer an accompaniment, our knowledge of the region in terms of where to settle, where to find schools for the children, where to find a job for the partner, etc… Bit by bit the services provided by the members of the village were defined as a ‘referential’ accompaniment which guides the would-be entrepreneurs through the various processes of their final settlement in the region. Two year on, this would-be entrepreneur settled in the region with thier business begun and they are still there today.